The DN-500A-ADC (SATA II NAS Subsystem) is a reliable, cost-effective way to add storage to the network. 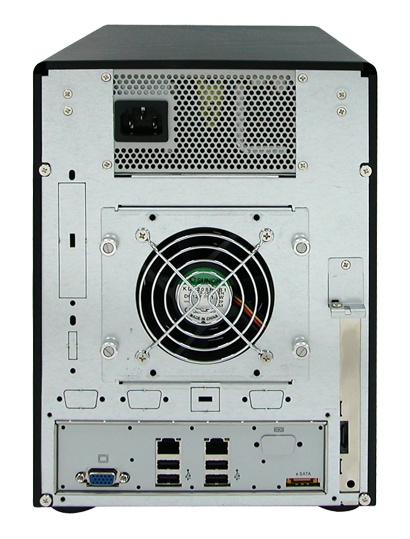 It comes with 5 drive trays accommodating 3.5" SATA II drives while SCA II single connector architecture enables true hot swap capability. Built-in Intel Atom Dual Core 1.8G CPU , up to 4GB DDR3 800MHz SDRAM and two Gigabit Ethernet ports offers high performance NAS platform. 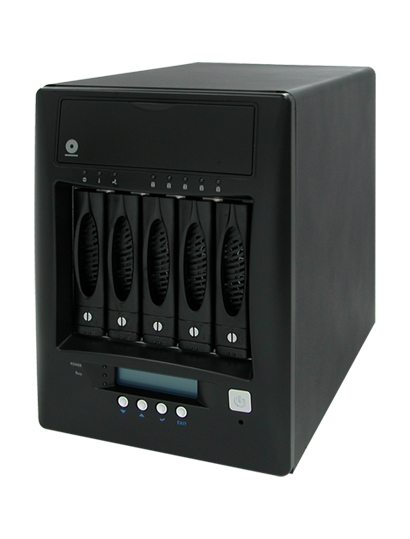 Linux based embedded OS design, it can boot without HDD, FDD or CD-ROM to guarantee reliability and quick boot. The DN-500A-ADC system is managed and configured by Flex / Ruby browser based software, including pre-configure disk capacity, users setting, volume management , quick installedon popular network platform, Multi protocol support, etc. 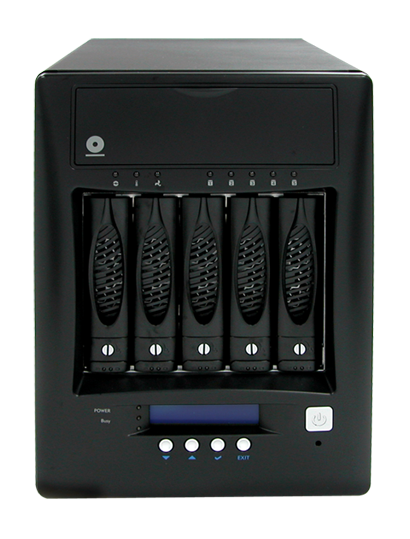 Equipped with RAID function to offer fault tolerant data protection. 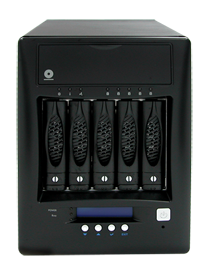 It is a full featured data protection supporting RAID levels 0, 1, 5, 6, 10, Linear(JBOD).System reliability is ensured by an environmental monitoring unit, which tracks the enclosure temperature as well as individual disk temperatures. 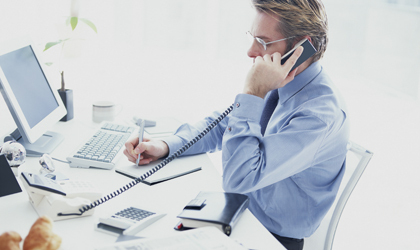 If any irregularity in these systems occurs, the monitoring unit alerts the administrator. The max. size of logical volume is 16TB.